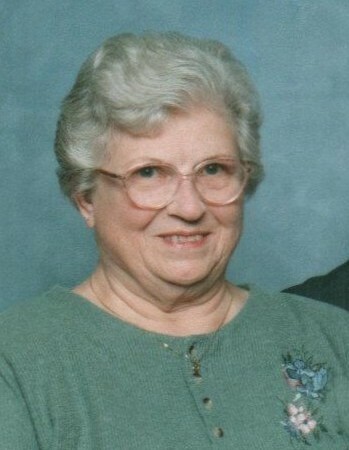 Velma Pearl Coney, 90 of Beaver Dam, passed away on Friday, March 22, 2019 at Signature Healthcare of Hartford. She was born October 20, 1928 in Dundee to the late Everitt and Audrey Murphy Chapman. Mrs. Coney attended Hartford Second Baptist Church. Aside from her parents, she was preceded in death by one daughter, Carolyn Rataschak and her sister, Wilda Gray. She leaves behind to cherish her memory her husband of 69 years, John Nathan Coney of Beaver Dam; her daughter, Jean Marie (Robert) Cook of Chicago, Illinois and her brother, Dale (Linda) Chapman of Hartford. Velma was blessed with five grandchildren, Mike Cook, Tommy Cook, David (Lisa) Rataschak, Kris (Robert) Boer and Nick Rataschak and one great-grandson, Dominic Boer. Funeral Services will be held at 7:30 P.M. Monday, March 25, 2019 at William L. Danks Funeral Home in Beaver Dam with Rev. Pete Leach officiating. Friends may visit with Mrs. Coney’s family from 4:30 P.M. until the time of service Monday at the funeral home.